It’s never easy coming up with unique 21st birthday party ideas for women. It seems as if the innate creativity of women poses a challenge to the party planner. Nevertheless, one can always take something old and give it a new twist in order to produce a dramatic result. For instance, Hollywood has always been a source of never-ending fascination for women. They are so much into Hollywood fashion, entertainment, and gossip. Even if a Hollywood-themed party is common, you can still add a couple of elements to make it stand out from the rest. You just need to be creative, inventive, and have an eye that sees the beauty in almost anything. When choosing one-of-a-kind 21st birthday party ideas, you can use a few Hollywood events as your peg. These would surely set the stage for an elaborate and fun birthday bash that guests would talk about for weeks to come. As you prepare everything for the party, you might want to keep these Hollywood “staples” in mind: a red carpet, formal dress code, and photo backdrop for the photo ops. An Oscar envelope would be the perfect prelude to the party invite. 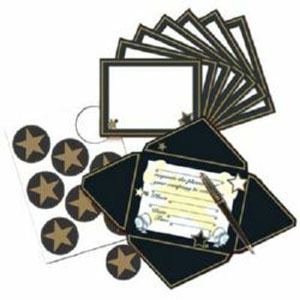 If the party includes a sit-down dinner, then you could use glittery start nameplates reminiscent of the stars on the Hollywood Walk of Fame to indicate the seating arrangement for dinner. 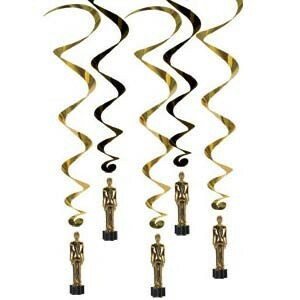 You could also go the extra mile by incorporating your birthday party decorations with Oscar-themed goody bags. Guests, nominees, and everyone else who attend this grandiose Hollywood event come home with loot bags from the sponsors, some of which cost thousands of dollars. You can draw inspiration from this and prepare popcorn loot bags that include spa gift certificates, manicure supplies, foot-pampering goodies, facial skin care products, and many more. 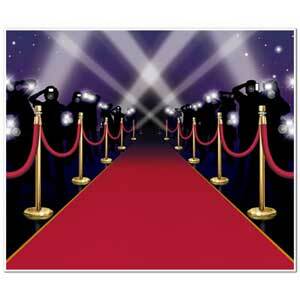 A Hollywood-themed party gives you a chance to unleash the inner diva in you. Hence, you must have plenty of photo opportunities all throughout the evening. Before guests leave, they should pose for a photo op with the celebrant, and the framed picture could serve as their party souvenir. Hollywood-inspired 21st birthday party ideas let you bring the glitz and glamour of Hollywood straight into your home even for just one night. It’s that one sure moment when all attention is on you, so you had better own the evening. 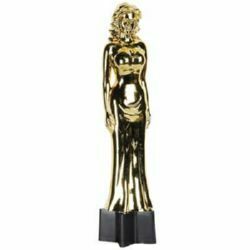 This entry was posted in Birthday Party Theme, Hollywood Party Theme, Hollywood Themed Party, Party Supplies, Party Tips, Themed Party and tagged awards statuette - female in ball gown, hollywood party invitations and star seals, hollywood walk of fame star, movie star award whirls, scene setter - insta theme red carpet scene on March 20, 2015 by Vanessa Osborne.